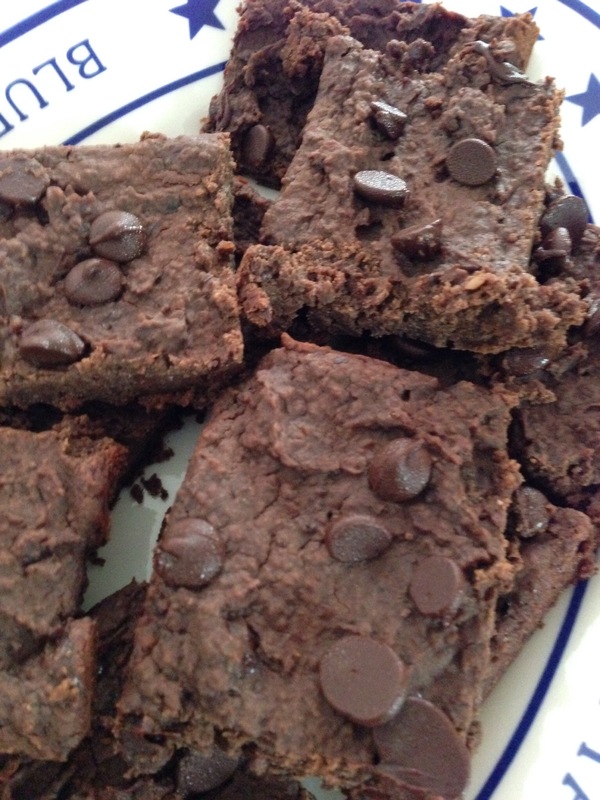 These tasty little treats are the healthiest brownies you will ever eat! No really! They are made with black beans and ground flax seed and have no added sugar or flour. People will NEVER guess there are black beans in them. I let my family and many friends taste them and try to guess and no one even came close! What’s even better is they don’t taste healthy. The cocoa powder and chocolate chips make this a gooey, rich, and tasty dessert. You won’t even feel bad about going back for more! 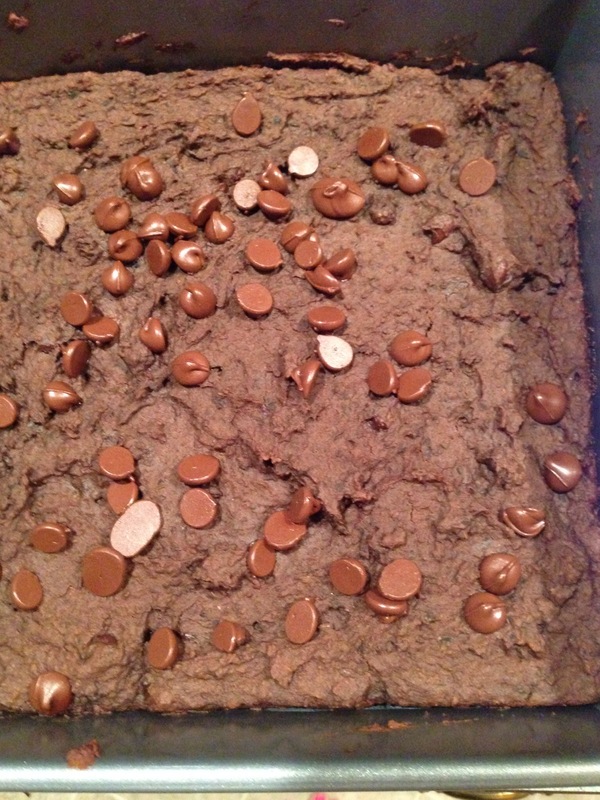 They are inspired from Chocolate Covered Katie, but l substituted oats for ground flax seed. I served them at the Mother’s Day brunch; click here for a recap. 1. Preheat oven to 350 degrees. Combine all ingredients except chocolate chips in a food processor and blend until smooth. 2. Stir in chocolate chips, then pour into greased 8×8 pan. Sprinkle more chocolate chips on top for an extra chocolaty taste if so desired. 3. Bake 15-18 mins, then let cool 10 minutes.